Daily benefits of Meditation and Brother Francis' original "White Light Meditation with Energetic Shield"
April 08th 2017 - Brother Francis E.Revels - Bey created in 1997 one of his original Creative Pathwork Meditations entitled:- WHITE LIGHT MEDITATION which offers his original "White Light Energy Shield". This special presentation offers the purpose for daily meditation, postural and breathing mechanics in one session. You can now experience this in the privacy of your home or office by receiving it in PDF for just $27.00 from one of the Southwest's Premier Spiritual Teachers - Brother Francis E. Revels-Bey who has been involved in the study, practice and teaching the principles of meditation since the mid-1970's.
" Remember that Divine Grace is a Blessing as we are alive and well in The Age of Remembrance !" 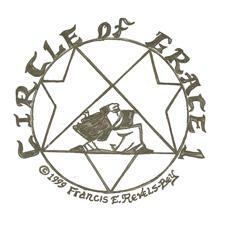 - The Angel of Grace through Brother Francis E. Revels-Bey (1999).